Has your vehicle failed the AirCheck Texas vehicle emissions inspection? 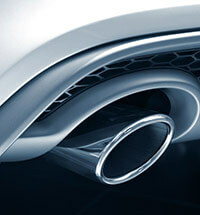 Are you buying a used car and want to make sure it meets the required air quality standards? We are a fully state certified emissions testing facility. We'll make sure your car runs in it’s best condition and not polluting. The State of Texas has recognized us as a leader in Emissions repair and service. We are accredited with AirCheck Texas certification. This means we are qualified to ensure that your vehicle meets Texas air quality standards. We can also work with you to get assistance from the state if your vehicle fails the inspection and require repairs to the emissions system. Unlike other states like New York and California, non-auto repair businesses are not given the license to perform emission tests for vehicle licensing. In our servicing area, only auto repair companies like us can obtain permission for emission testing, and we have been a leader in this field for the last 20 years. After a thorough safety and emissions check up of a vehicle, the results are fed into a computer system which transfers it electronically to the DMV. Vehicles that pass both these tests are issued a sticker that displays the certification. This will be valid until the vehicle’s registration. We specialize in On-Board Diagnostics (OBD) as well. OBD test is required by law to be included in the inspection process on all vehicle models 1996 or later. It monitors the major engine components of these cars which include those responsible for emission control. OBD system makes it easier even for laymen motorists to know whether their vehicle could cause excess pollution or not. It helps our technicians diagnose problems accurately for effective vehicle repairs.